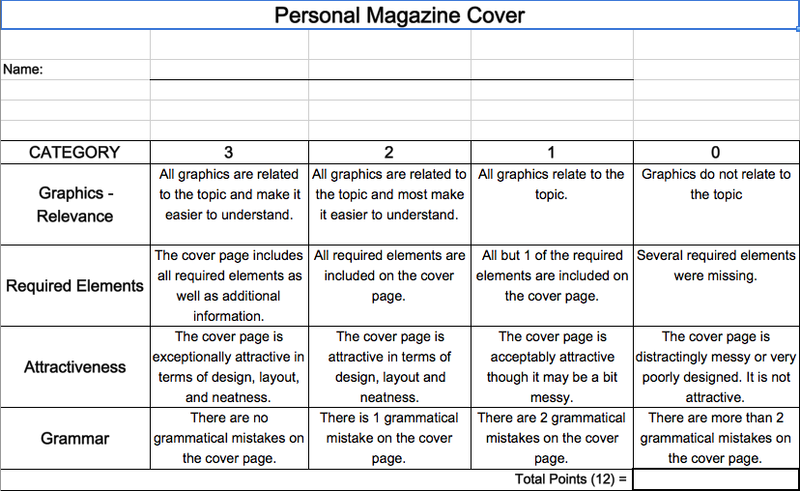 Market Yourself with a Magazine Cover! This personal cover page should reflect personal information about you and your future career goal(s). Using your computer, Microsoft Word and a template, you will create a collage which should represent your personal magazine cover page. To receive credit for the assignment, all work must adhere to the guidelines listed below and be appropriate for classroom display. When designing your magazine “cover” page be creative with articles that could be used within your magazine. Sell yourself! This magazine cover will be shared with the class and displayed during the semester.